Marshalls Fairstone Pitch Faced walling is sourced from the finest Indian Sandstone. 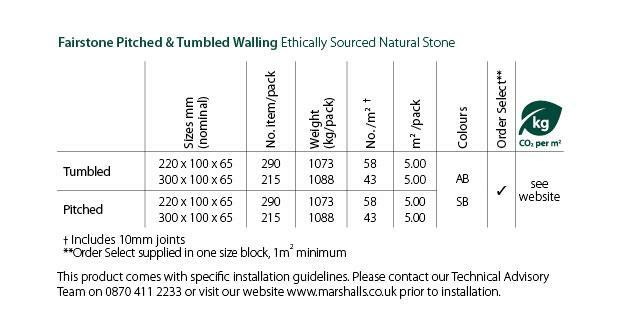 All Marshalls Fairstone Sandstone is sourced from Kota in India, as part of their ethical trading initiative. Fairstone Sandstone is one of the most durable and hard wearing Sandstone products available. Each product is faced on all sides and has a cropped finish to the show face.